Welcome to Coffee Culture Worldwide, the Dutch edition. In this article, you will see why coffee is a hot commodity in the Netherlands, the history of its cultivation (and some stories laced with bitter truths), the best places for a coffee cup in Amsterdam and a coffee that gives you a bit of a buzz. Here is the coffee culture in the Netherlands! The coffee trade and the Netherlands relationship to it comes with a very fascinating history. The Dutch played an important part in the trade of coffee worldwide. Coffee was growing quite well in a placed called Yemen. When the growth and production of coffee spread to Kaffa, the local governments tried to ban export to other regions. However, the Dutch bypassed these bans and began taking coffee plants to other parts of the world. One place in particular that has very important points in the history of coffee and the Dutch in Indonesia. 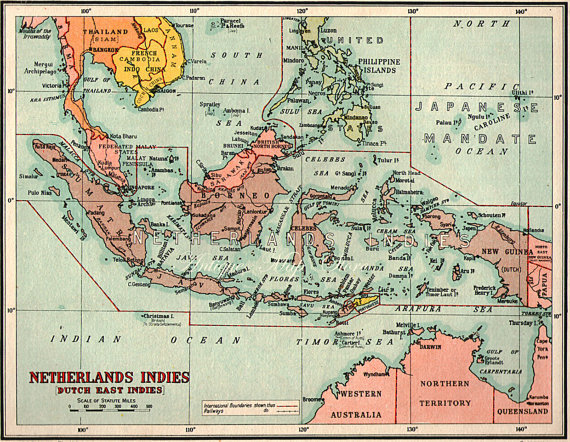 In the 1800s the control of the “Dutch Indies” (now known as Indonesia) was in the hands of the Dutch East India Company (VOC). Due to a series of economic failures, the Dutch government took control of the country. During this new control, the Dutch began to restructure their plantations into the Cultivation System (cultuurstelsel in Dutch). This new system demanded that coffee farms had to cultivate a set quota to be exported to the Netherlands. The effect of these production demands cause many rice crops to be destroyed and replaced for more profitable commodities such as sugar and coffee. In addition to this, a tax system was implemented which state authorities received a commission from. This profit from production and tax the people led to extreme abuses of power. The people of Indonesian endured periods of harsh poverty, widespread starvation. These abuses were captured in a book called Max Havelaar: Or the Coffee Auctions of the Dutch Trading Company. This book, even with it’s old language, detailed the abuses and mismanagement of the colonial powers. It is said that this book influenced a powerful movement that led to the improvement of ethical standards and may have been the tipping point toward to abolition of colonization. To this day, coffee production is still a popular economic factor for Indonesia (read about that in CCW: Indonesia). The Dutch remained a great influencer in the coffee trade for many years. In fact, there are numerous shops in Japan and Korea that use Dutch Coffee makers. In these countries, the cold brewing method of coffee is known as “Dutch Coffee” (ダッチ・コーヒー – dacchi kōhii en “더치커피” – deochi keoppi). When the Dutch brew a coffee at home, they do it in a big glass pot and a filter that is meant to serve as many people as possible throughout the morning. 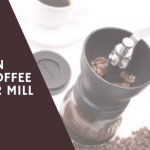 Although this kind of coffee may not cater to the tastes of refined coffee tasters, it’s more than enough to get that caffeine fix. What’s most popular in the Netherlands are their coffee shops. Coffee shops in the Netherlands bring in people of all ages to drink coffee, unwind after work, and enjoy the evening chatting away. Recently, there has been a new trend of “instant” coffee delivered in those pre-packaged plastic pods. This kind of coffee caters nicely for the fast paced lifestyle of the dutch. 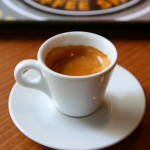 Often, you will find coffee shops with signs saying, “Coffee is Ready.” This indicates you can go in, get a coffee, and continue on with your day. Is there a Dutch Coffee? What is it? There’s a coffee that’s legendary to the taste but difficult to brew, and some suggest the the recipe has been lost long ago. 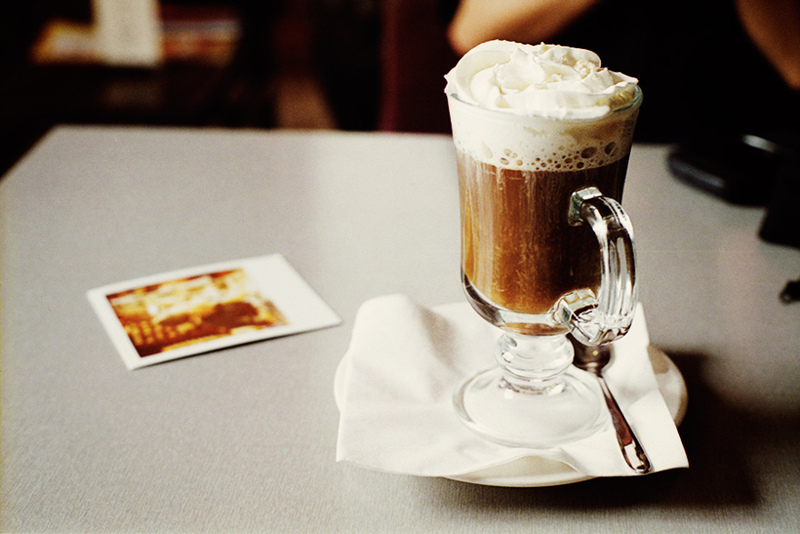 A dutch coffee is a delicacy that may or may not come from the Netherlands. Well, who cares. The name is Dutch, so that’s good enough. Take the milk and steam it good with the butter. If you get this part right, the milk and the butter will separate and you’ll get a tasty layer of butter waiting on the top. Next, pour the steamed milk into a glass, add a shot of espresso, some vanilla and stick of cinnamon. To your heart’s content, pile as much whipped cream as you want. Enjoy! Cloaked as a coffee shop is a place where you might be able to find coffee but that’s not Dutch are coming here to consume. If you’re unfamiliar, the drug laws in the Netherlands are a little slack. The laws for marijuana is this: illegal to sell, but unpunishable by law. Pretty cool, right? 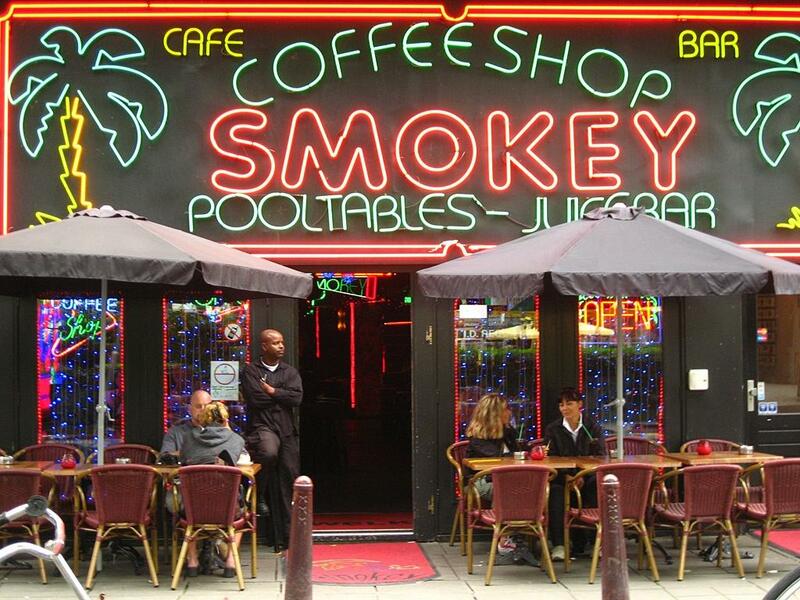 A coffeeshop is code for “come and get your high on”. 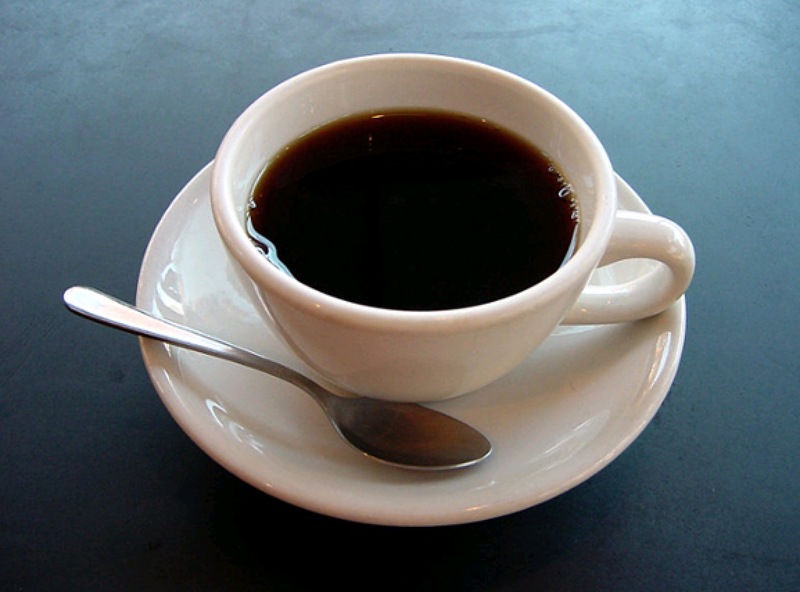 Follow these rules and your “coffee” drinkers can enjoy their buzz. 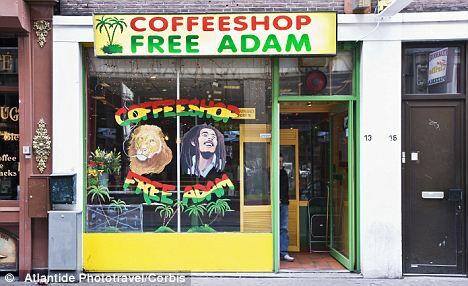 So, now that you know the true meaning behind “coffeeshop”, you must be wondering if there is such a thing as a marijuana-infused coffee drink? Well, you’ll have to go take a trip to Amsterdam to find out (if there is, tell us about it).